We at Max Clean, know how difficult it may be to find a reliable cleaning company in London. If you are tired of looking and been failed many times, then look no further. 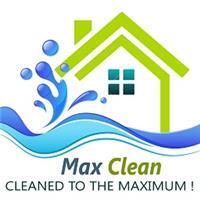 Max Clean is the reliable provider for domestic and office cleaning services. We make every effort to fully understand our client’s needs and tailor a service to meet their individual expectations. We are a family run business and the majority of our business comes from repeat customers and referrals. This is because we guarantee that all our services are completed with the utmost care and professionalism. We will introduce to you only highly dedicated and hardworking cleaners. Domestic cleaning: Regular weekly/bi-weekly/monthly slots booked and carried by the same reliable cleaner every time. You can give us a list with your cleaning preferences and we’ll follow it strictly. We can do your laundry and ironing as well. Office cleaning: Cleaning services for your office/work environment to take place as often as needed. They are carried out by the same cleaner on each visit and we are able to work around you. One-Off cleaning: Cleaning service suitable for all customers who do not require cleaning on regular basis. Whether you need a quick once over or an in-depth clean of certain areas we are here to help. Deep Cleaning/ End of Tenancy cleaning: Deep cleaning performed before or after you move in/out of a rental property. This is a full and deep top to bottom cleaning that complies with all letting agencies’ cleaning requirements. We will save you time and unnecessary worries. After Builders cleaning: Our professional after builders cleaning is a perfect solution for recently renovated/refurbished properties. We, at Max clean, have the right equipment and know-how to handle the unavoidable after building mess.